Shalene Schreuder Attorneys are leading authorities on the Administration of Deceased Estates, Wills, Trusts, Estate Disputes, Will applications to have wills declared valid/invalid, High Court litigation with regard to estates and wills, evictions with regard to deceased estates , Curatorships, Estate Transfers and related matters, due to Shalene Schreuder's many years of experience as Assistant Master at the Master of The High Court Cape Town and another staff member that worked for the Master of the High Court for a period of 23 years before joining forces with our team of attorneys. 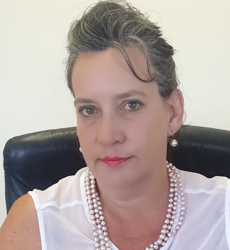 Due to the litigation pertaining to estates Shalene Schreuder Attorneys has a fully fledged litigation department that is equipped to handle any type of litigation, including evictions, divorces, commercial litigation, rehabilitation applications, sequestrations, civil litigation and related matters. Shalene Schreuder Attorneys has a fully fledged conveyancing practice, that tends to normal transfers and deceased estate transfers. Due to the firms many years of experience in the law of deceased estates and business law the firm works mainly on referals but each new prospective client's matter will be judged on its merits before a mandate is accepted. Once a client's mandate is accepted the whole staff is comitted thereto and as such our slogan represents our work ethics.